Lids Canada has started their Boxing Day sale early! 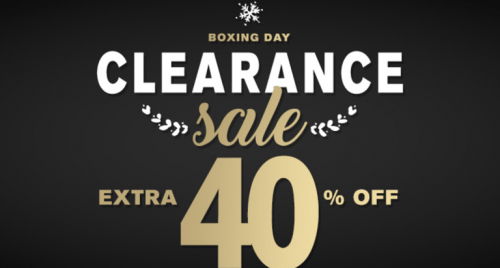 Starting today, Sunday, December 25, 2016, you can save an EXTRA 40% off ALL clearance items when you shop at Lids online! Lids Canada has great deals in their clearance section with up to 75% off and you will get an extra 40% off on all clearance styles! The Lids extra 40% discounts will be applied online in cart. Lids Canada has FREE shipping on all online orders of $60 or more or you can have your order shipped to the store for free with no minimum spending amount. Click here to start shopping Lids early Boxing Day sale.